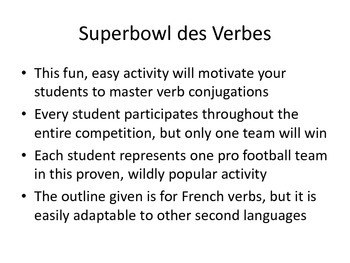 This fun, easy activity will motivate your students to master verb conjugations! Every student participates throughout the entire competition, but only one team will win. 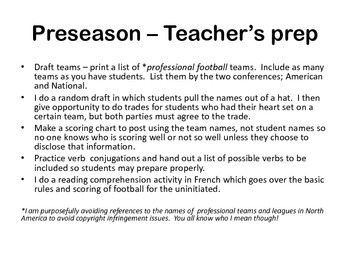 Each student represents one pro football team in this proven, wildly popular activity. The outline given is for French verbs, but it is easily adaptable to other second languages.